I lived in Dallas/Fort Worth for 5 years and fell in love with the Dallas skyline at night. But after living in NKY for nearly 5 years, I have now moved more toward the Cincy skyline. With Paul Brown Stadium (home of the Bengals), Great American Ballpark (home of the Reds), the P&G building (home of my favorite foods), and the Carew Tower, it doesn’t get much better this. 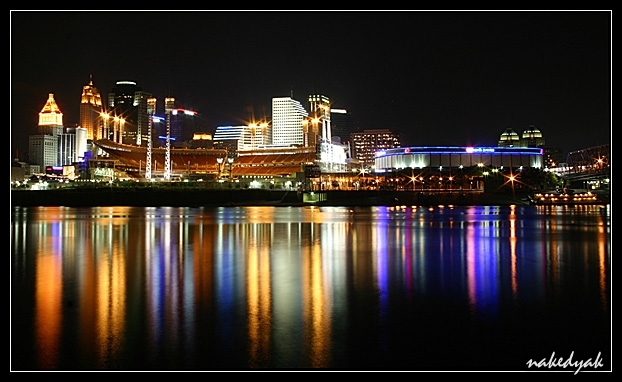 Plus the Ohio River just expands the lights and sounds of the city. This is a fun place to live.